Festival Italiano Vintage Auto Show on the grounds of The Hermitage Museum, on Saturday, May 19from 9 am to 3 pm. Festival Italiano is a celebration of Italian automotive engineering where area automobile enthusiasts can view a variety of vintage and modern Italian-engineered automobiles including Ferrari, Lamborghini, Maserati, and Alfa Romeo. Traditional Italian food and refreshments will be available for sale and Italian music will be played throughout the day. Admission is $8 for adults and $5 for children 6-12 years of age. Children 5 and under are free. 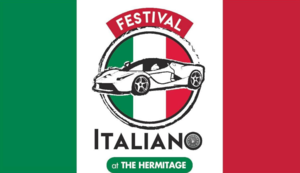 This celebration of Italian automotive engineering is sponsors by the Friends of the Hermitage Inc. and Bergen County Cars & Caffe. Proceeds from the event supports the Hermitage Museum. For more information, contact the Museum Office at (201) 445-8311, ext. 102.